In homage to the unique vision of Edward Gorey (1925–2000) and in honor of the tenth anniversary of the artist’s death, the University of Hawai‘i Art Gallery in collaboration with the University of Hawai‘i Library presents Musings of Mystery and Alphabets of Agony: The Work of Edward Gorey. This exhibition showcases the John A. Carollo - Edward Gorey Collection from the University of Hawai‘i at Mānoa Library’s Special Research Collections and features a selection of more than 700 of the over 1500 Edward Gorey books (many signed and first editions), fine art books, original prints, posters, note cards, handmade toys and other curious objects collected by John Carollo, Honolulu composer and dedicated Goreyphile for over 35 years. Special loans of rarely seen original drawings and personal items from The Edward Gorey Charitable Trust and the Edward Gorey House will also be featured. Known for its excellence in exhibition design, the University of Hawai‘i Art Gallery will create a unique “Gorey-esque” environment that includes a library and reading room and signature architectural elements and characters, where Gorey’s life and imaginary world will come alive. Themes that will be explored include mystery and murder, creatures and objects, children’s books and menaced children, Gorey alphabets and poetical play, Surrealism, theater and ballet, and Gorey as a fine artist with international fame. Created in deference to Gorey’s iconic alphabet book The Gashlycrumb Tinies, a scavenger hunt for its 26 young characters in unlucky and disastrous circumstances is a special aspect of the exhibition that will appeal to visitors of all ages. “This exhibition honors the timeless, remarkable talent of Edward Gorey,” said Lisa Yoshihara, director of the University of Hawaiʻi Art Gallery. “This collaboration between the University of Hawai‘i at Mānoa Library and the UH Art Gallery is an opportunity to celebrate and share the rich holdings of our campus for the educational enjoyment and enrichment of our students and the community. The exhibition will please Gorey fans with an interpretative look to his intellect and artistic talents and introduce a whole new generation to this internationally acclaimed American genius. Many will find his mixture of whimsy and mystery darkly humorous, his word craft incredible, and his elegantly drawn depictions just divine. This is a once-in-a-lifetime opportunity to see such as vast range of Gorey’s works." Sponsored by the University of Hawai‘i Department of Art and Art History and the College of Arts and Humanities and University of Hawai‘i at Manoa Library; and supported by grants from the Hawai‘i Council for the Humanities and by the “We the People” initiative of the National Endowment for the Humanities; the Hawai‘i State Foundation on Culture and the Arts and the National Endowment for theArts; Rianna Williams; anonymous donors; and Manoa Arts & Minds, a partnership that cultivates the mind and spotlights the best of art, music, theater, dance and special performances at UH Mānoa. The University of Hawai‘i Library’s Special Research Collections includes a number of separate collections of materials that are rare, unique, or otherwise extraordinary. All of them require distinct, often unique, policies and procedures for acquisition, processing, storage, and patron use to preserve them for future generations. The John A. Carollo-Edward Gorey Collection began in 1998 when John Carollo donated the first of his books authored by or illustrated by Edward Gorey. A Gorey fan and collector since his youth, Carollo has increased the collection’s holdings to more than 1500 items over the last 12 years to shape this strong and significant collection. Through Musings of Mystery and Alphabets of Agony: The Work of Edward Gorey the public has an exceptional opportunity to see and learn from large number of works that are not always readily available. A full-color catalogue will feature an essay by Dr. Joseph Stanton, humanities scholar and specialist in art history and American studies at the University of Hawai‘i at Mānoa. Miss D. Awdrey-Gore presents: "An Edward Gorey Haunted Mystery Family Soirée"
Sunday, October 31, 12:00-8:30 p.m.
Fun and educational art activities, scavenger hunt, costume contests and prizes for kids and adults, gallery tour, and 2 movies! Come in costumes! Bring your camera! Friday, October 22, 7:30 p.m.
Sunday, October 31, 5:15 p.m. The Mānoa Readers / Theatre Ensemble productions are sponsored by Outreach College, The Mānoa Foundation, and Mānoa: A Pacific Journal of International Writing, with further support from the University of Hawai‘i at Mānoa Department of English. 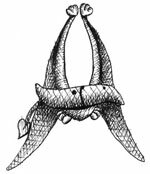 Saturday, October 30, 2:00 – 3:00 p.m.
"Looking for Edward Gorey: life in Cape Cod, the legacy of his museum, a director’s personal friendship, the passion of a lifetime collector, and the interpretation of a scholar"
Thursday, November 4, 7:00 - 8:30 p.m.
A panel discussion featuring Rick Jones, Director and Curator of the Edward Gorey House, collector John A. Carollo, and University of Hawai‘i at Mānoa humanities scholar Dr. Joseph Stanton. HAWAI‘I STATE LIBRARY EVENTS, 478 S. King St.
Thursday, October 7, 6:30 – 7:30 p.m.
Thursday, October 14, 6:30 – 7:30 p.m.
Ages 10+ years and up; Participants will make their own book and can fill it with their drawings and texts inspired by Edward Gorey. The following presentations may be repeated at public libraries in communities on O‘ahu. Saturday, November 6, 11:30 a.m. – 12:30 p.m.
Ages 10+ years and up; Sketch along with the artist and expand your manga drawing skills! 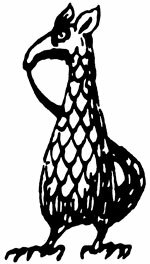 Saturday, November 20, 12:45 – 1:45 p.m.
Ages 10+ years and up; Construct an alphabet book, draw your own Gorey-esque figures using crosshatching and reveal your own dark and unexpected tale! Thursday, December 9, 6:30 – 7:30 p.m.
Ages 10+ years and up; Participants will draw and complete a character using crosshatching! Kaimuki Public Library, Monday, Oct. 4, 6:30 – 7:30 p.m.
Ages 10+ years and up; under 10 accompanied by an adult. Kapolei Public Library, Saturday, Oct. 9, 11:30 a.m. – 12:30 p.m.
Kalihi-Palama Public Library Auditorium, Monday, Oct. 18, 6:00 – 7:00 p.m.
Liliha Public Library, Wednesday, Oct. 20, 3:00 – 4:00 p.m.
Kapolei Public Library, Saturday, Oct. 9, 10:30 – 11:00 a.m.
Kailua Public Library, Saturday, Nov. 27, 10:30 – 11:00 a.m.
Saturday, October 23, 11:30 a.m. – 12:30 p.m.
Edward Gorey was inspired by the vast range of books and films that he voraciously consumed from silent classics, mystery, thrillers, and pop culture. The films selected include his favorites such as Louis Feuillade’s Les Vampires and Alfred Hitchcock’s The Lady Vanishes. Others were selected for similarities that can be seen in the characters, stories, and dark humor. Each film is preceded by a short educational presentation. Sunday, October 3, 3:30 p.m.
Chatsworth, CA: Image Entertainment [distributor] Water Bearer Films, 2000. Cast: Musidora, Édouard Mathé, Marcel Lévesque, Jean Aymé, Fernand Hermann, Stacia Napierkowska, Renée Carl. 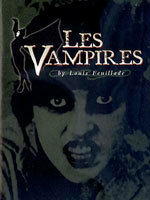 Summary: Describes the achievements of Les Vampires, a secret society of criminals led by Irma Vep. The gang uses kidnapping, poisonous gas, heavy artillery, and murder to gain power over the elite of Paris. Sunday, October 10, 3:30 p.m. Cast: Albert Finney, Lauren Bacall, Ingrid Bergen, Martin Balsam, Jacqueline Bisset, Jean-Pierre Cassel, Sean Connery, John Gielgud, Wendy Hiller, Anthony Perkins, Vanessa Redgrave, Rachel Roberts, Richard Widmark, Michael York. 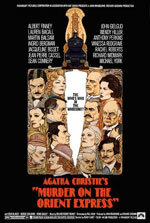 Notes: Based on a book by Agatha Christie. Screenplay, Paul Dehn; producers John Brabourne and Richard B. Goodwin; photographer, Geoffrey Unsworth; editor, Anne V. Coates; music, Richard Rodney Bennett. Summary: Detective Hercule Poirot agrees to interview all aboard the Calais Coach of the Orient Express hoping to find the killer of an American millionaire before the local police arrive. Sunday, October 17, 3:30 p.m.
Gaumont British Films, MGM, 20th Century Fox, 1938. 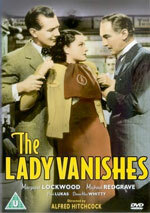 Cast: Margaret Lockwood, Michael Redgrave, Paul Lukas, Dame May Whitty, Cecil Parker, Linden Travers, Mary Clare. Notes: Based on the novel The Wheel Spins by Ethel Lina White. Originally released as motion picture in 1938. Screenplay by Sydney Gilliatt and Frank Launder; producer, Edward Black; director of photography, Jack Cox; editor, R.E. Dearing; musical director, Louis Levy. Summary: Enroute back to England by train from Switzerland, an old lady disappears and two young people investigate. Sunday, October 24, 3:30 p.m.
Universal City, CA: MCA Home Video, 1986. Cast: Frank Langella, Laurence Olivier, Donald Pleasence, Kate Nelligan. Notes: From the novel of the same title by Bram Stoker. Based on the stage play by Hamilton Deane and John L. Balderston. Executive producer, Marvin Mirisch; screenplay, W.D. Richter; music, John Williams; special visual effects, Albert Whitlock. 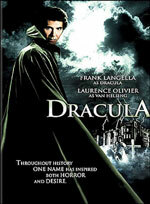 Summary: Throughout history Dracula has filled the hearts of men with terror and the hearts of women with desire. This stylish new production of the classic gothic horror tale stars Frank Langella, repeating his electrifying award-winning stage performance as the blood-thirsty Count, and Laurence Olivier as the devout vampire hunter Von Helsing who is Dracula’s nemesis. A great cast, fine direction, and a superbly atmospheric musical score make this the ultimate Dracula. Sunday, October 31, 3:30 p.m.
Burbank, CA: Touchstone Pictures, 1993. Cast: Voices of Danny Elfman, Chris Sarandon, Catherine O’Hara, William Hickey, Glenn Shadix, Paul Reubens, Ken Page. Notes: Based on a story and characters by Tim Burton. Music, Danny Elfman; director Henry Selick; screenplay, Caroline Thompson. Summary: The story of Jack Skellington, the pumpkin king, who decides to bring the magic of Christmas back to Halloween Town. Sunday, October 31, 6:15 p.m.
Los Angeles, CA: PolyGram Filmed Entertainment, 1994. Cast: Terence Stamp, Hugo Weaving, Guy Pearce, Bill Hunter. Notes: Producers, Al Clark and Michael Hamlyn; director of photography, Brian J. Breheny; film editor, Sue Blainey; music, Guy Gross. Summary: With a contract to perform a drag show way out in the Australian desert, Tick, Adam, and Ralph each has his own reason for wanting to leave the safety of Sydney. 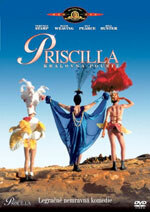 Christening their battered pink tour bus “Priscilla,” this wickedly funny and high-drama trio heads for the outback and into crazy adventures in even crazier outfits.